The Wine Advocate - The 2010 Clos de Vougeot opens with remarkably, perfumed aromatics. 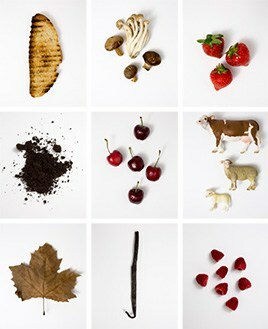 Sweet red cherries, hard candy, freshly cut mint and licorice are some of the nuances that add complexity on the palate. Ripe, silky tannins frame the elegant finish. 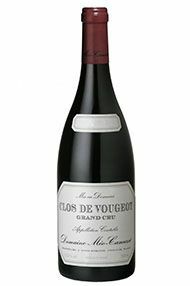 This is a gorgeous, feminine Clos de Vougeot that impresses for its refined personality and sheer class. There is plenty of underlying material to support a long life in the cellar. 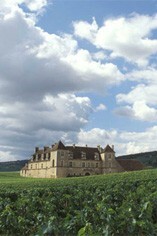 In 2010 Meo-Camuzet assembled the wines from both of the domaines parcels in Clos de Vougeot. Anticipated maturity: 2025-2045. Burghound - This is slightly riper with hints of menthol to the densely fruited nose of cassis, plum and black berry liqueur aromas. There is a high degree of phenolic maturity to the structural elements that shape the very rich, mouth coating and hugely long finish. While this is not quite as youthfully austere as it usually is, it's still going to require close to 20 years of cellar time so this is by no means forward. Once again, the quality is exceptional and this is another wine that could match, or even surpass, its 2005 counterpart. Méo-Camuzet is one of the undisputed star estates of Burgundy. Until 1988 most of the domaine's holdings were leased out to other vignerons and amazingly most of the wine was sold off to négociants in bulk. Today, it is a very different story. Meo Camuzet now has over 2.5 hectares of grands Crus and 8 hectares of some of the finest Premier Cru vineyards of Nuits-St-Georges and Vosne-Romanée. Most of the vineyards are farmed organically, but not every aspect of all vineyards: one or two which are difficult for tractor access may still see an occasional herbicide or anti-rot treatment. The grapes are sorted at the winery, destemmed, cooled if need be to 15°C for a short pre-fermentation maceration, and then spend around 18 days in vat in total,, with temperatures being maintained around 30-32°C. Early on the juice is pumped over twice a day with some pumping down subsequently. Afterwards, the wines are matured in barrel, with 50% of new wood for the major villages, 60-70% for the premiers crus and 100% for the grands crus. Possibly a little less new wood may be used in the future, and Jean-Nicolas has certainly refined his choice of wood in recent years, while retaining François Frères as more or less sole supplier. Jean-Nicolas Méo and Christian Faurois now run the Domaine and together they produce some of the very best wine in the Côte d'Or. Meo Camuzet produces full-bodied, firm, rich, oaky, concentrated wines, which no serious Burgundy drinker should overlook. Before the current incumbent, there are two major names associated with this great Vosne-Romanée domaine. The first is Etienne Camuzet, a political figure who was deputy for the Côte d’Or from 1902 to 1932, and who purchased during his life some significant vineyard holdings as well as the Château de Clos de Vougeot, which he later gave to the Confrérie des Chevaliers du Tastevin. His name frequently appears in litigation to decide which parcels of vineyard might or might not be included as part of a grand cru. His vineyard holding passed to a daughter, Maria Noirot, who died childless, and thence in 1959 to a more distant relative, Jean Méo. At this stage the vineyards were looked after by sharecroppers and the wine sold off in bulk. Domaine-bottling only began in 1985 and reached full throttle with the arrival of Jean-Nicolas Méo to take charge in 1989. The various sharecropping agreements have now come to an end (the last being Jean Tardy in 2007) with one of the former sharecroppers, Christian Faurois, remaining as Jean-Nicolas Méo’s right-hand man in the vines. The second great personality is of course Henri Jayer, who was invited to look after the Camuzet vines as long ago as World War II, though not having been involved in the business before. Jayer remained a sharecropper until his (first) retirement in 1988, after which he continued to advise the domaine.